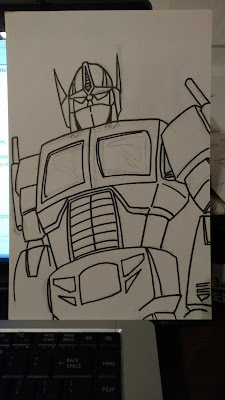 Sorry for the grainy image. Pulled it off Youtube. Now this is just too cool. I met a young man named Britton at the Columbus Comic Book Show yesterday who had some writing questions. 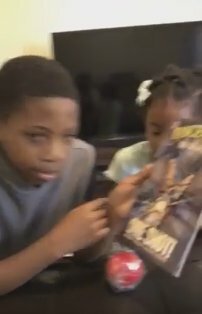 Britton and his sister posted a YouTube video about their trip to the con and gave me a shout out, which made my day. You can watch the video here or below. 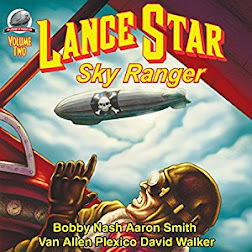 The book he's holding up is Lance Star: Sky Ranger "One-Shot!" by myself and James Burns. Learn more about it here. Thanks a million, Britton., It was great meeting you and your family. Keep on writing. CRIMSON MOON GETS 4 STAR AMAZON REVIEW! 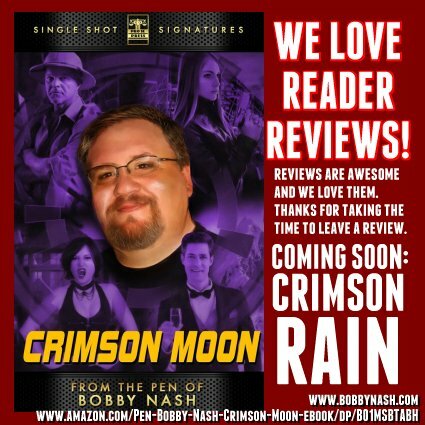 Big thanks to author C. William Russette for his kind words about my e-novella, Crimson Moon, part of Pro Se Productions' Signature Series ebook line: From The Pen of Bobby Nash. Many thanks, pal. I appreciate it. You can read the full review here. 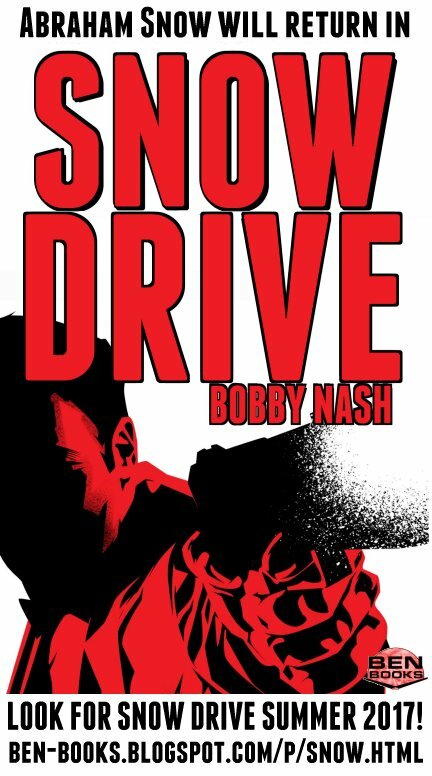 I've read Mr. Nash's work in the past so there was little doubt that I'd enjoy him working in the action/horror genre. 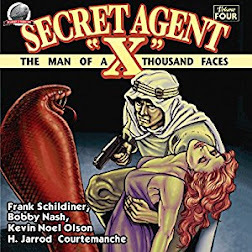 The real strength of this first part of a serial isn't the supernatural elements, which are in no way lacking, what shines is the characterization. A lot or horror relies on the splatter and horror and worries less on the protagonists suffering through the excitement. This is why I return to Mr. Nash's work. It doesn't hurt that I dig me some vampires. 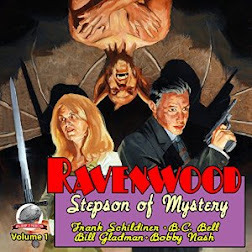 And there's a fun take on them and werewolves herein. Its a worthy read and I will be back for more. 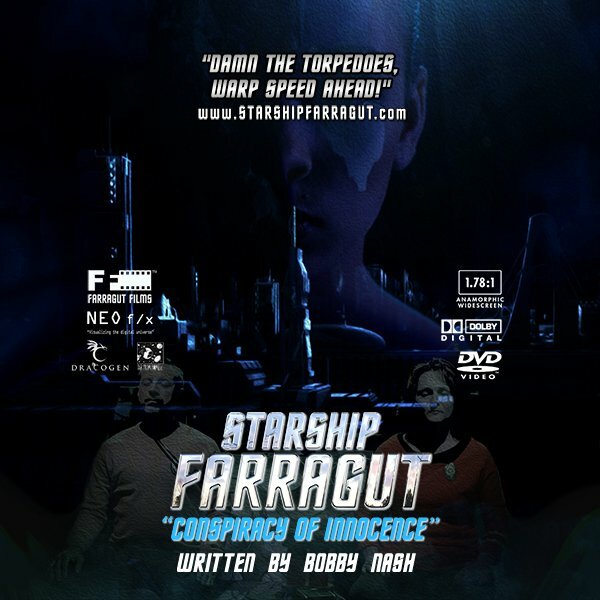 STARSHIP FARRAGUT SCREENING WITH SCREENWRITER BOBBY NASH SUNDAY AT THE COLUMBUS COMIC BOOK SHOW! Join me tomorrow-- Sunday! Sunday! SUNDAY! at the Columbus Comic Book Show​ at the Coca Cola Space Science Center in beautiful Columbus, GA. It's worth the trip for the Space Science Center alone. 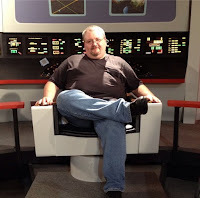 I will have some books with me for sale, of course, but the big news is that we will be screening my award-winning (I love saying that) episode of the fan series STARSHIP FARRAGUT with a Q and A afterward. 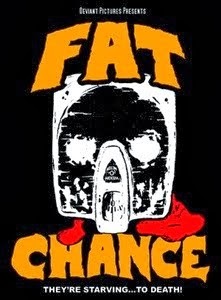 I'll also have FREE (you heard that right) FREE DVDs of the episode to hand out to those who attend. It will be a fun time and I hope to see you there. The Columbus Comic Book Show runs from 11 am - 4 pm. 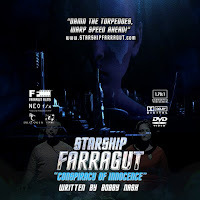 The Starship Farragut "Conspiracy of Innocence" screening starts at 1:30 followed by a Q and A session with the writer (that's me). If you're unable to attend, you can watch the episode on-line for free here. 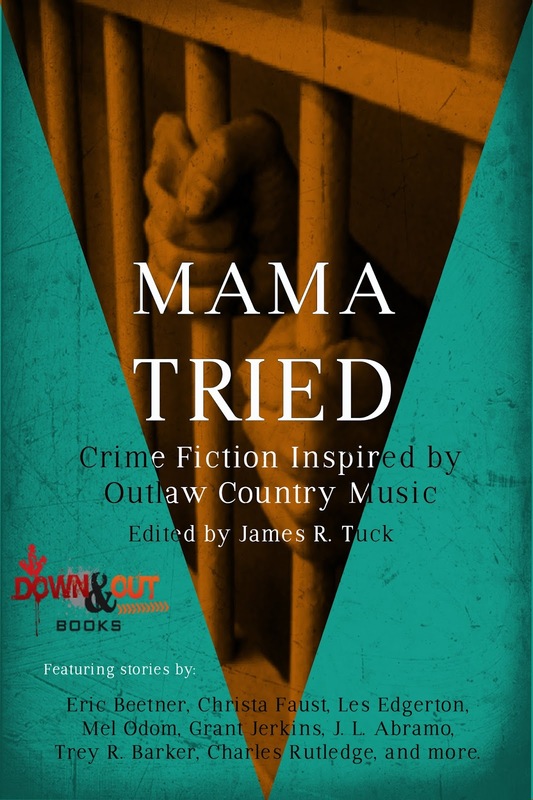 "GREAT BOOK." 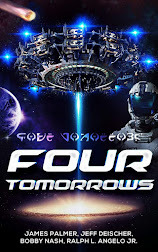 A READER REVIEWS AT THE EARTH'S CORE! 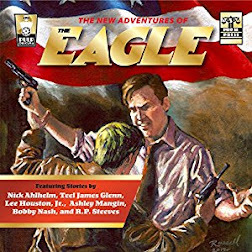 A big THANK YOU to Belle Smith for the 5 Star Review for Edgar Rice Burroughs' At the Earth's Core graphic novel adaptation by Bobby Nash and Jamie Chase. Your kind words are appreciated. Reviews are the lifeblood of authors. I appreciate you taking the time to leave a review and I'm glad you enjoyed Edgar Rice Burroughs' At The Earth's Core. Jamie and I had a lot of fun working on this one. 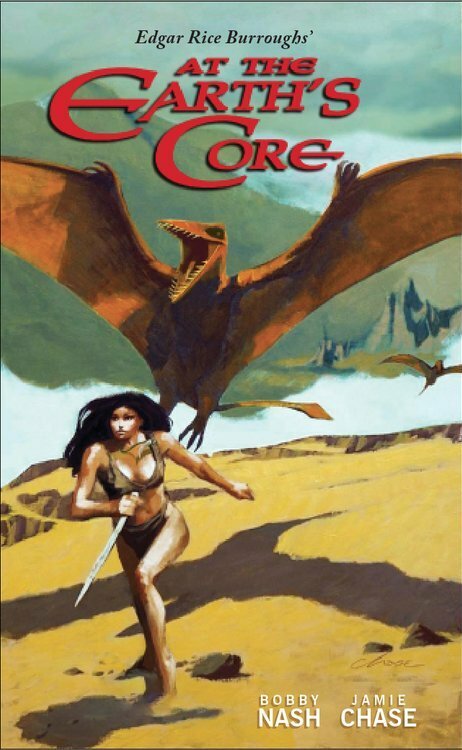 Click Read More... to learn more about Edgar Rice Burroughs' At The Earth's Core. WE LOVE READER REVIEWS! 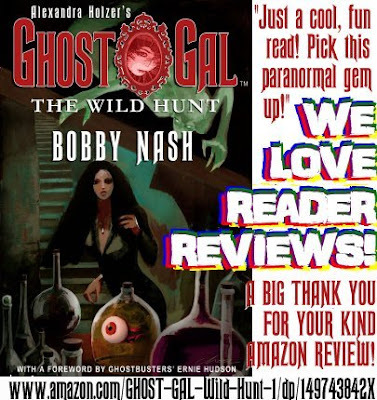 ALEXANDRA HOLZER'S GHOST GAL: THE WILD HUNT GETS 5 STARS! A big THANK YOU to Amazon Customer Lon Webb for his 5 Star Review for ALEXANDRA HOLZER'S GHOST GAL: THE WILD HUNT. Your kind words are appreciated. 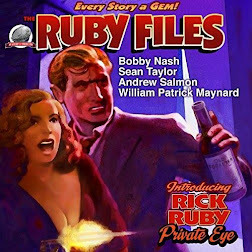 "Just a cool, fun read! Pick this paranormal gem up!" As always, reviews are absolutely appreciated. 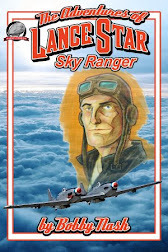 Reviews are like gold int he rankings and help our books reach a larger audience. Thanks again, Lon. 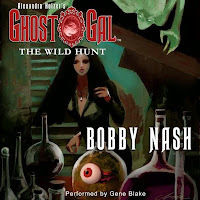 Click Read More... to learn more about ALEXANDRA HOLZER'S GHOST GAL: THE WILD HUNT. 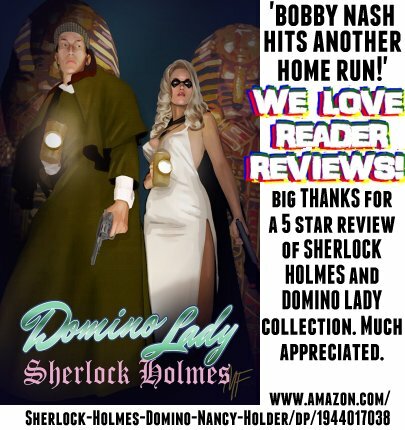 SHERLOCK HOLMES AND DOMINO LADY LOVE READER REVIEWS! A big THANK YOU to History buff, reader, person with name, etc. 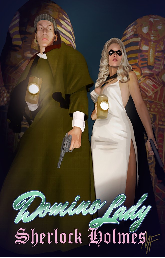 for the 5 Star Amazon Review for the SHERLOCK HOLMES/DOMINO LADY collection. Your kind words are most appreciated. 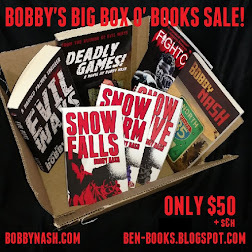 "Bobby Nash hits another home run! 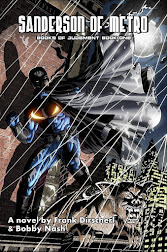 What an awesome comic! 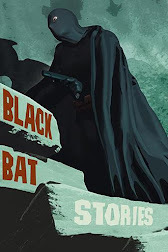 Bobby Nash completely delivers yet again with film-noire style comic book gold bringing together the Domino Lady with his own faithful adaptation of the classic Sherlock Holmes. 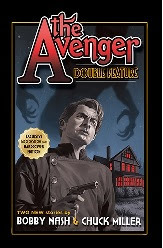 If you like Victorian literature, old school film-noire, or comic book action-adventure, you will like this book. I highly recommend it." Reviews are the lifeblood of authors. 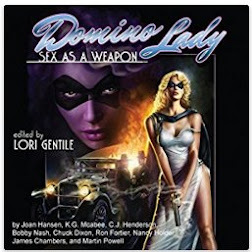 I appreciate you taking the time to leave a review and I'm glad you enjoyed SHERLOCK HOLMES/DOMINO LADY. I had a lot of fun working on this one. I've been a long time fan of Sherlock Holmes. 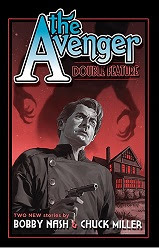 It was a fun treat to write the Great Detective in a couple of stories. Click Read More... to learn more about SHERLOCK HOLMES/DOMINO LADY. 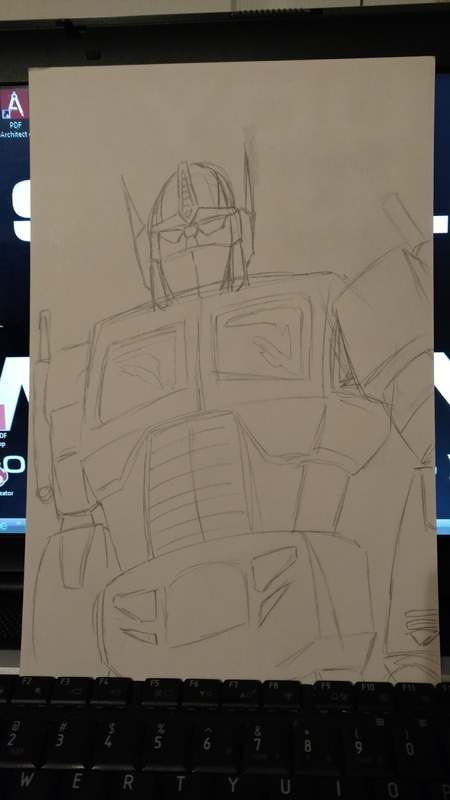 Here is this month's Patreon giveaway sketch of Optimus Prime for Jeff Allen. Been a long time since I tried drawing a Transformer. This was fun. Want to get in the running for next month's drawing? It's really easy. 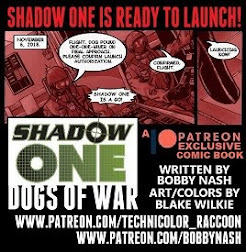 Just join us today at www.patreon.com/BobbyNash. $5 and up Patrons are automatically entered into the drawing. As always, BIG THANKS to all my Patreon supporters. You guys are great! 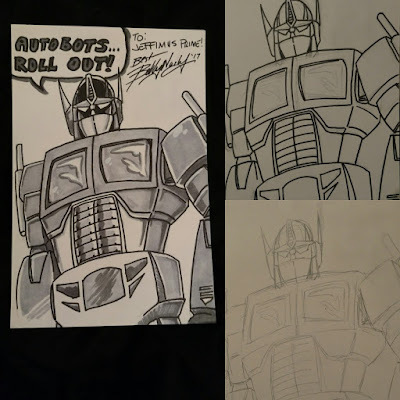 Here's a step by step on the Optimus Prime art. 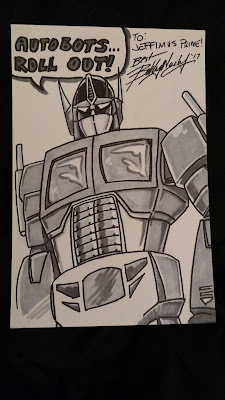 Drawn on a comic book backing board. WE LOVE READER REVIEWS! 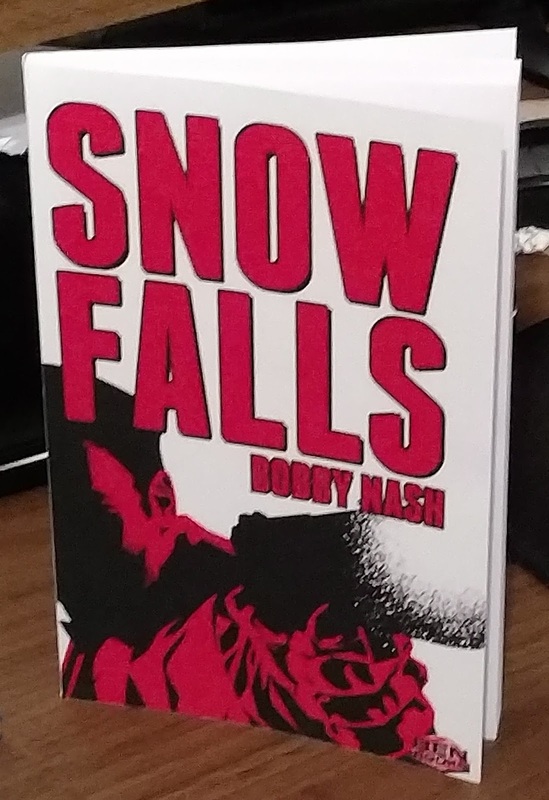 SNOW FALLS REVIEWED AT AMAZON! 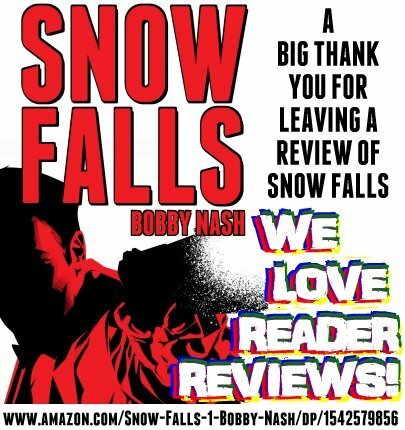 A big THANK YOU to Amazon Customer (I later learned this is Lon Webb) for leaving a nice 4 Star Review for SNOW FALLS on Amazon. Your kind words are appreciated. 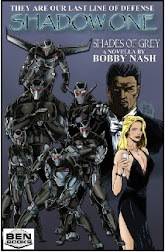 "Brisk action read that is highly enjoyable. Look forward to this series being bi-monthly or quarterly!" Thanks, Lon. Reviews are the lifeblood of authors. I appreciate you taking the time to leave a review and I'm glad you enjoyed Snow Falls. 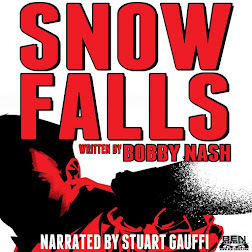 Click Read More... to learn more about Snow Falls. 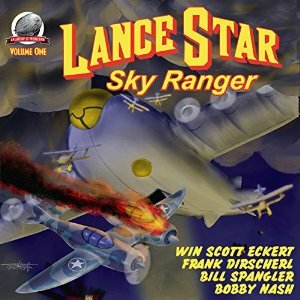 WE LOVE READER REVIEWS AT THE EARTH'S CORE! 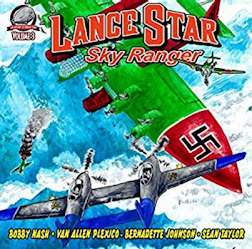 A big THANK YOU to Amazon Customer for the 4 Star Review for Edgar Rice Burroughs' At the Earth's Core graphic novel adaptation by Bobby Nash and Jamie Chase. Your kind words are appreciated. Reviews are the lifeblood of authors. 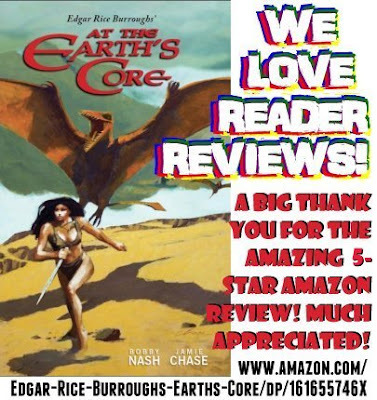 I appreciate you taking the time to leave a review and I'm glad you enjoyed Edgar Rice Burroughs' At The Earth's Core. I had a lot of fun working on this one. 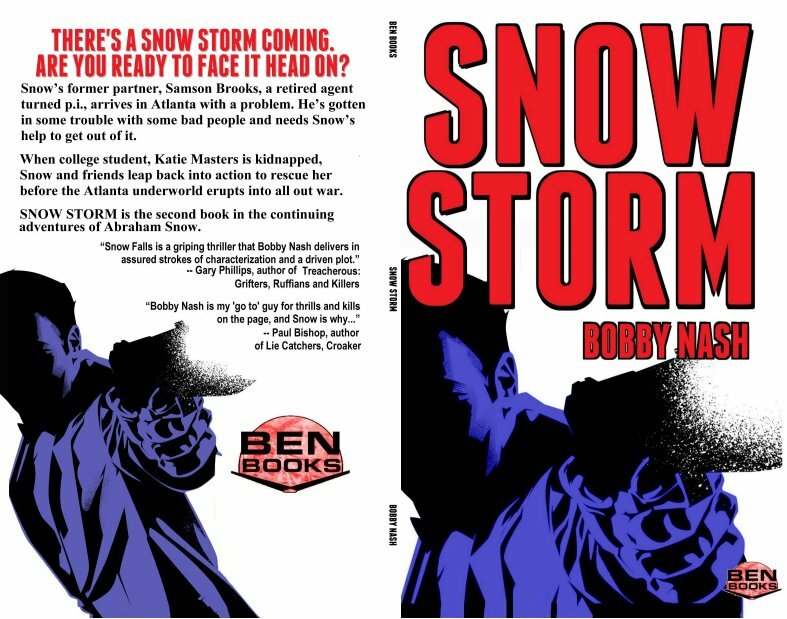 After talking with a few folks and taking a step back to look at things, I have decided to make a change to the SNOW STORM cover. Apparently, many people were confusing SNOW FALLS and SNOW STORM as the same book because of the cover and color. To eliminate the confusion, I have made a change to the cover of SNOW STORM in terms of color. Each cover will carry a different color scheme going forward to avoid this confusion. 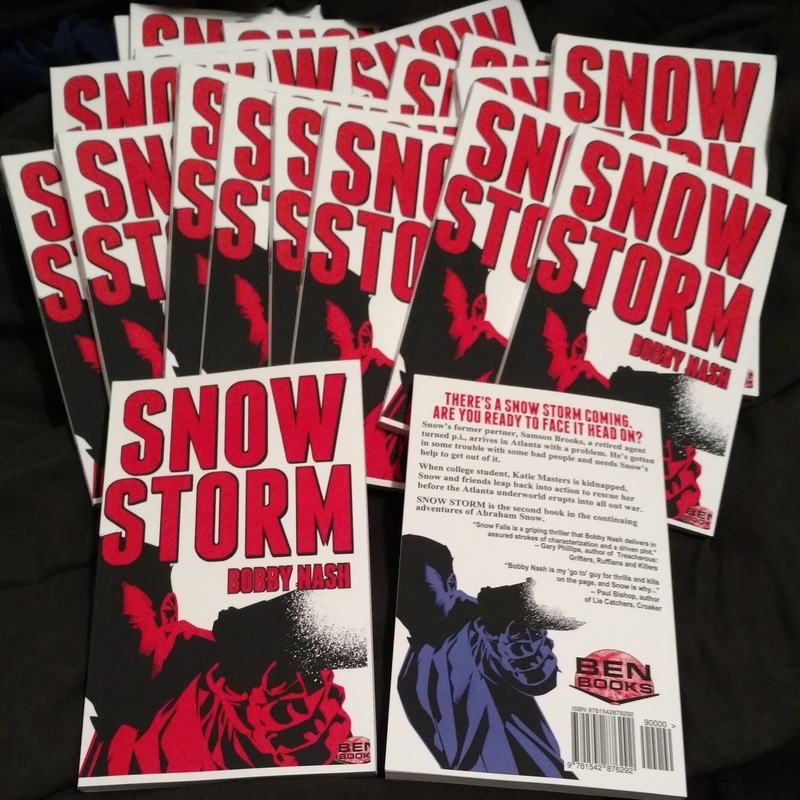 On the upside, if you own a red copy of SNOW STORM, it's now a collector's item as only 20 or so were printed before the change. 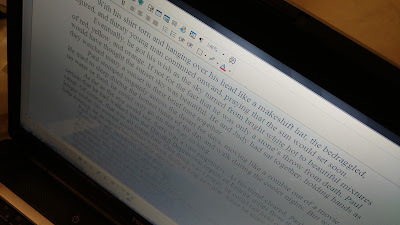 I added quite a few words on the novel tonight. Was planning to pull an all nighter, but for some reason, I just can't keep my eyes ope so, sleep wins. At least until I lay down. Then I'll be wide awake. Will get back to work tomorrow. Lots of writing to accomplish this weekend. Sorry for the weird angle on the pic. Not sure how much the publisher wants me to share. 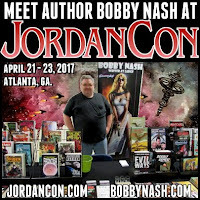 LO' THERE SHALL COME A CON TOUR 2017! 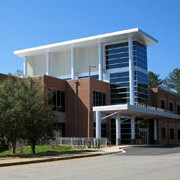 ATHENS LIBRARY INDIE AUTHOR MARKETPLACE AND FAIR ADDED! The Lo' There Shall Come A Con Tour 2017 rolls on! Join me at the Indie Author Marketplace and Book Fair on Saturday, February 18th from 11:00 a.m. - 3:00 p.m. at the Athens-Clarke County Library in Athens, GA. A fun time will be had. I will be doing a reading along with a Q and A session and will have my books on hand and available for purchase for those interested. 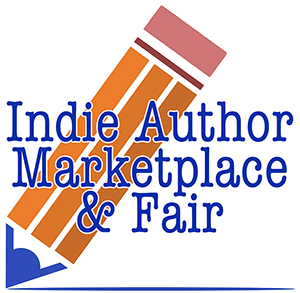 Learn more about the Indie Author Marketplace and Book Fair here. The Indie Author marketplace has burgeoned in recent times. Never before in publishing history have so many hopeful and aspiring writers and authors had the opportunity and resources to self-publish. Traditional publishing houses, the ‘Big Six’, are very limited in the types of books they market and sell, thus blocking hopeful authors from ever publishing and receiving the added publicity in the marketplace. publishing house that will accept their manuscripts. With the ability to self-publish, and work hard to get their books into the hands of avid readers, authors are finding a new niche in the publishing world. 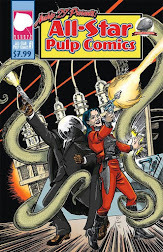 Small publishing companies are also on the rise. The Athens-Clarke County Library will host Athens’ first ever Indie Author Marketplace & Fair on Saturday, February 18th, from 11 AM to 3 PM. 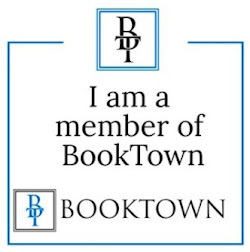 During that time, we invite all book readers and lovers to visit our local author booths and peruse the abundance of books and talk to the authors about the stories behind those books. Following the marketplace there will be a three-author symposium from 3:30—4:30 PM. The authors will discuss their experiences with self-publishing. A reception will take place at 4:30 PM. Read Local! 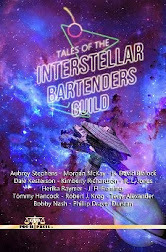 Support our local authors! Fresh powder! 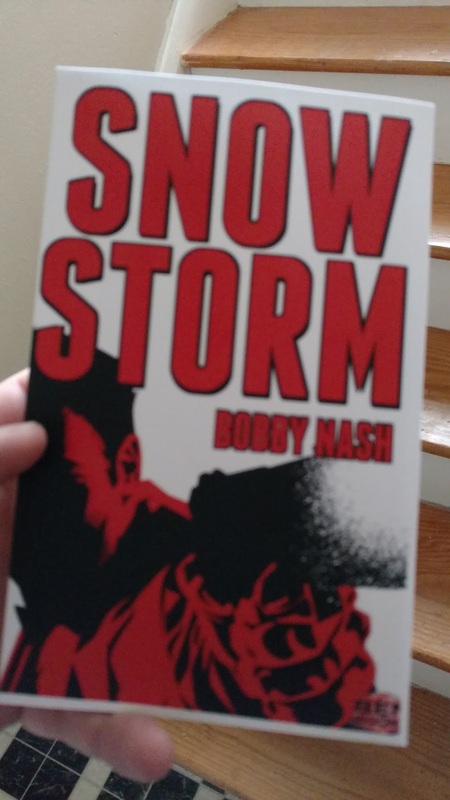 My paperback copies of Snow Storm arrived yesterday. So excited. Wish they had arrived in time for ACC, but alas, it wasn't meant to be. Get yours today here! You can learn more about SNOW here. 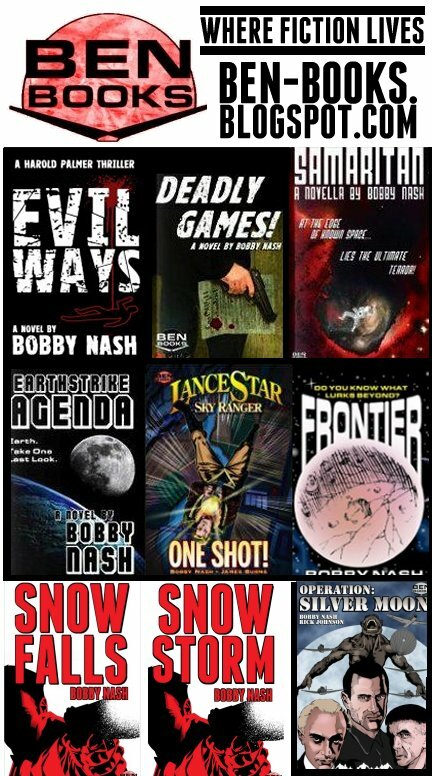 You can learn more about author Bobby Nash here. Click Read More... below for information on SNOW FALLS. LO' THERE SHALL COME A CON TOUR 2017! JORDONCON ADDED! The Lo' There Shall Come A Con Tour 2017! train keeps a rolling! 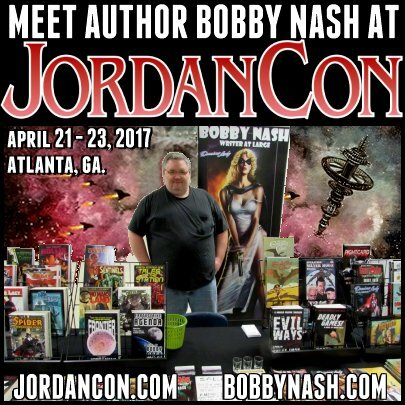 I will be a guest at JordanCon on April 21 - 23, 2017 in Atlanta, GA. This will be my first time as a guest at this show, but I've heard good things. 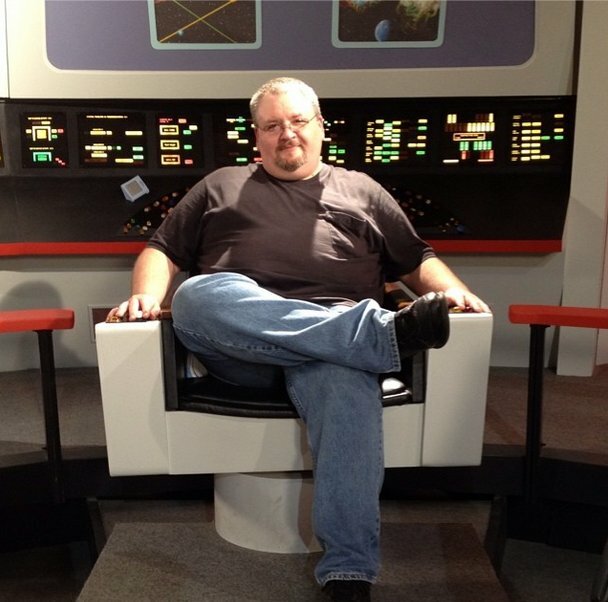 The con's guest list is quite impressive with a lot of great writers attending. I'm honored to be part of it. JordanCon is a fantasy literature convention founded in honor of the late author, Robert Jordan. 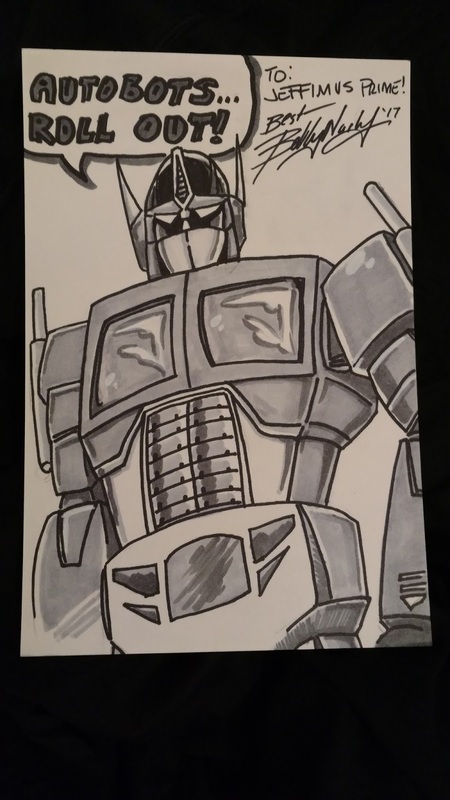 JordanCon features eight tracks of simultaneous programming, a Dealers' Hall, gaming, an Art Show featuring original art by a variety of artists, and charity events benefiting the Mayo Clinic and other charities. 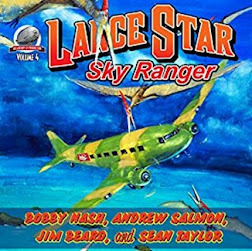 Their 2017 Guests of Honor are Charles E. Gannon and Stephen Hickman. See the full guest list here. Looks to be a fun show. I hope to see you there. 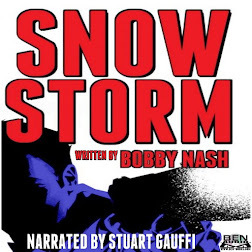 UPDATED: PRESS RELEASE: BOBBY NASH’S SNOW STORM IS NOW AVAILABLE! BEN Books is pleased to announce that author Bobby Nash’s Snow Storm is now available as a $2.99 ebook for your Kindle through Amazon here. 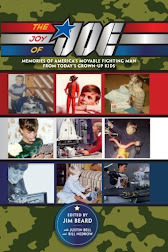 The 5” x 8” digest will premiered on February 2, 2017 at Amazon and at Createspace at a cover price of $6.99. At other on-line retailers soon after. 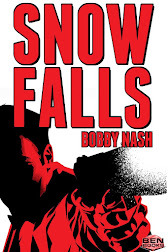 SNOW FALLS is the first in a series of novella-length adventures following the exploits of former government agent turned do-gooder, Abraham Snow. 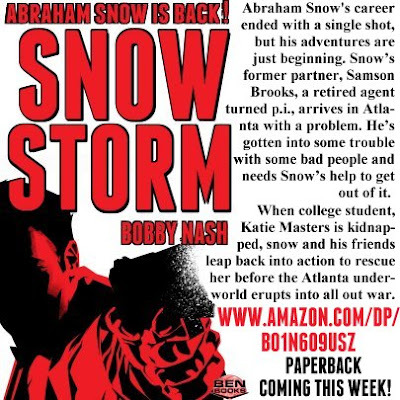 Abraham Snow's career ended with a single shot. 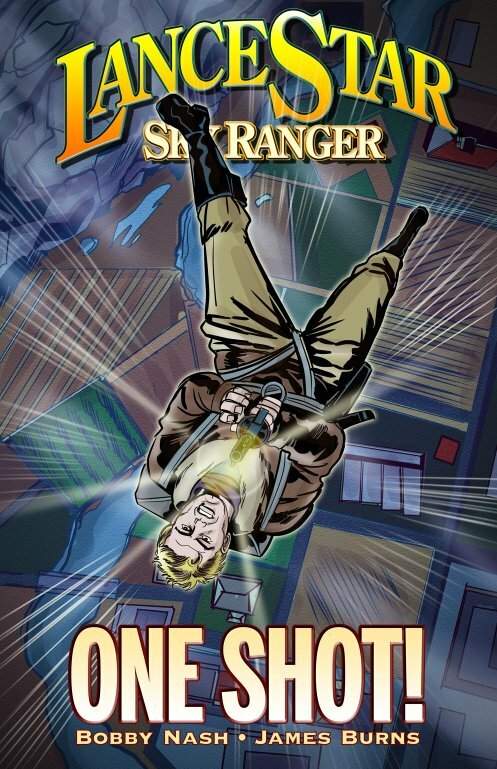 Left for dead, the undercover operative barely survived an assassin's bullet. After a long and painful recovery, Snow retires. 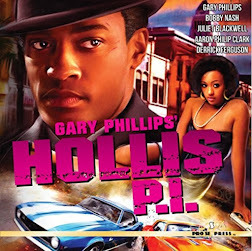 He returns home to rest and recuperate only to get swept up in the family business, one just as dangerous as his previous profession. 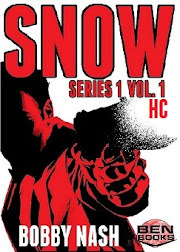 When he thwarts an assassination attempt on a diplomat that endangers his sister, Snow leaps into action to keep his family out of a highly trained killer's crosshairs. 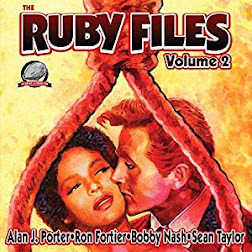 New adventures continue in 2017 with the book three of the hit series. 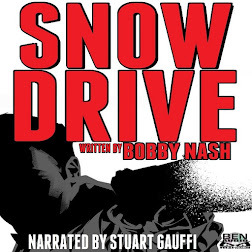 Look for SNOW DRIVE Summer 2017 and SNOWED IN shortly thereafter. 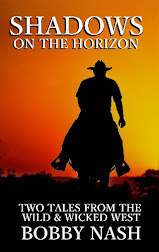 Each novel will be released in paperback and ebook formats. 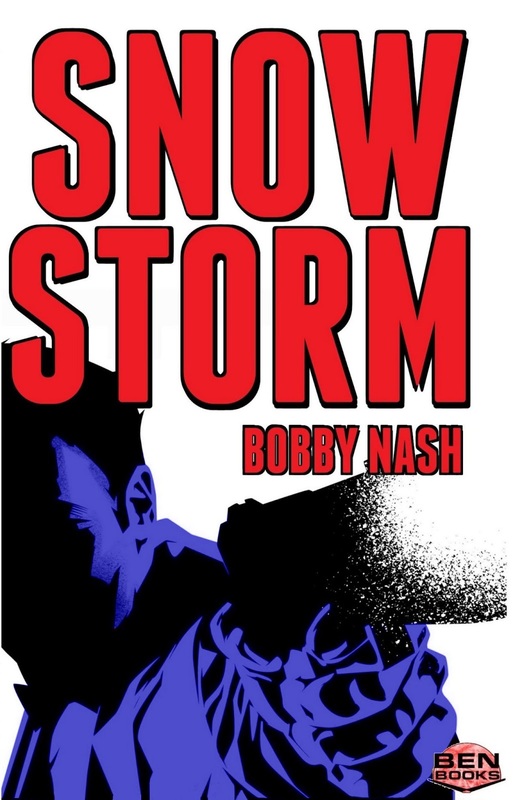 SNOW STORM is an adrenaline-filled adventure thriller from award-winning author Bobby Nash and the second in a series of action-packed adventures featuring Abraham Snow and friends. 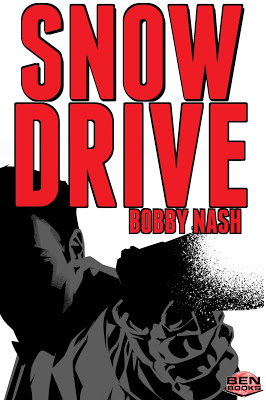 Abraham Snow will return in SNOW DRIVE. 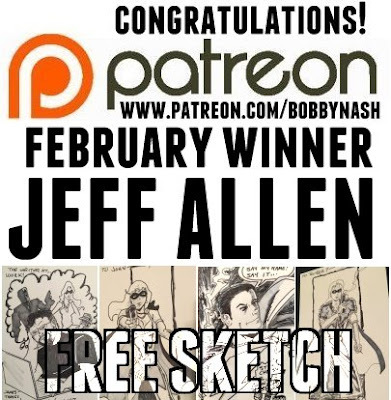 PATREON FREE ART WINNER FOR FEBRUARY SELECTED! Congratulations to Patron Jeff Allen. Jeff is the winner of my monthly art sketch giveaway for February 2017 on Patreon. Want to get in the running for next month's drawing? It's really easy. 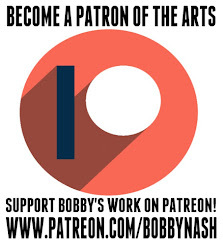 Just join us today at www.patreon.com/BobbyNash. $5 and up Patrons are automatically entered into the monthly drawing. As always, BIG THANKS to all my Patreon supporters.